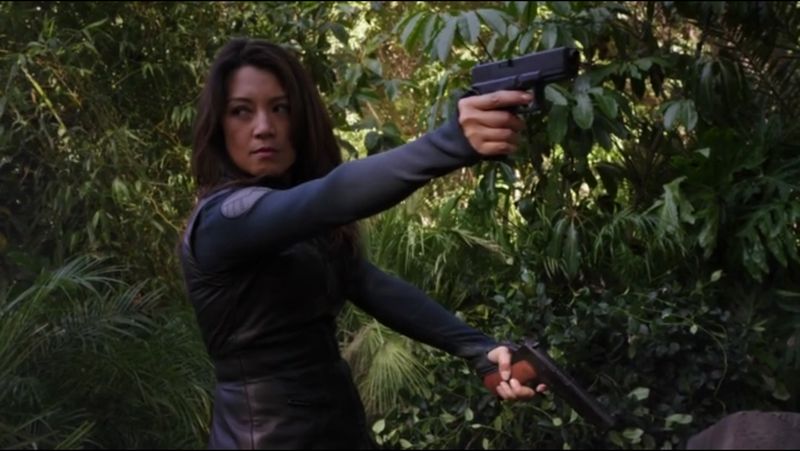 I’m continuing my list of the best female characters from superhero shows. Be sure to check out 50-41 and 40-31. Feel like your favorite character should be higher on the list? Make your opinion known in the comments. Poison Ivy is one of Batman: the Animated Series‘ most memorable villains. She’s an interesting mix because she takes genuine moral stands while at the same time often relishing in her villainous behavior. Dale Bozzio stands out as a figure of human law and order in iZombie‘s chaotic supernatural vigilante world. She may be a no nonsense detective when it comes to work, but her playful side comes out in her endearing relationship with Clive Babineaux. Kendra Saunders is “destined” to always fall in love with Hawkman and always be defeated by Vandal Savage. But this incarnation of Hawkgirl rejects that notion and sets out to make her own path. Lyla Michaels is the head of A.R.G.U.S. and a force to be reckoned with. She’s a tough soldier and a remarkable strategist worthy of her own spin-off. Rachel Pirzad is shy, non-confrontation and, as her teammate Gary Bell puts it, “always nervous.” It’s refreshing to see a timid superhero character who isn’t immediately forced out of her shell. Instead, she’s able to save the day and have a long way to go in working on her assertiveness and confidence. Karen Page is an intense, determined person who won’t stop searching for the truth, even when everyone else around her is fighting hr on it. Selina Kyle is a survivor who’s had to learn how to take care of herself. But, it’s not hard to see how much compassion she has and how underneath her tough loner exterior, she feels compelled to help people. Despite not having unnatural superpowers, Natasha Romanoff is often acknowledged as the most capable and strong-willed member of the team. She’s clear-headed in a crisis and willing to do whatever it takes to complete the mission. Melinda May is introduced as an unstoppable force whose taciturn nature means no one knows much about her. She continues to be an incredible force, but she’s also become more nuanced as the show reveals more and more about her character. Like every character on Teen Titans Go!, Raven is sillier and less nuanced than other incarnations of the character. But, this version is still hilarious and lovable. Her dryly delivered insulting one-liners are easily the highlight of the show.